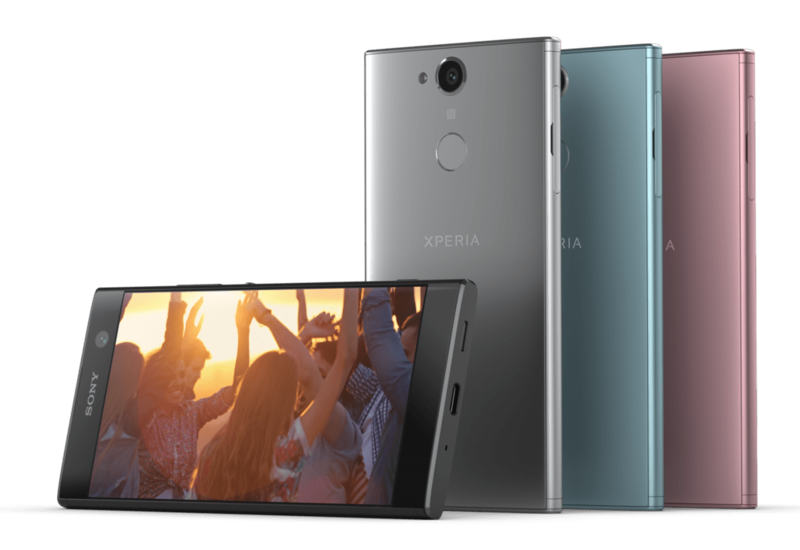 Sony has finally launched the much rumored Xperia devices Sony Xperia L2, Sony Xperia XA2 and Sony Xperia XA2 Ultra at CES 2018 today but there were no signs of the rumored Sony Xperia XZ1 Premium, Plus and XZ1S at the CES event. There were no details available currently about the pricing of all these three devices and we can expect that more details will be available soon. 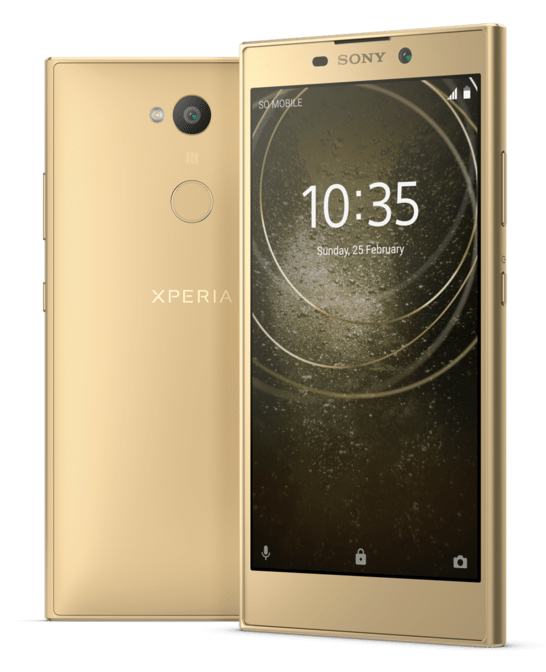 The Xperia L2 comes with Black, Gold and Pink color options, the Xperia XA2 comes with Silver, Black, Blue and Pink color options while the Xperia XA2 Ultra comes with Silver, Black, Blue and Gold color options. The Xperia L2 features a 5.5-inch HD display with Image Enhance Technology, Corning Gorilla Glass protection and 1280 x 720 pixels resolution and is powered by a 1.5GHz quad-core MediaTek MT6737T processor with Mali-T720 GPU. It comes with 3GB of RAM and 32GB of internal storage capacity that is expandable up to 256GB with microSD card. It still runs on the Android 7.1.1 (Nougat) but will get the Android Oreo obviously. It supports dual SIMs. It features a 13-megapixel auto focus rear camera with LED Flash, 1/3.06″ sensor, f/2.0 aperture lens and has an 8-megapixel front-facing camera with 120° wide-angle f/2.4 aperture lens, 1/4″ image sensor. It comes with a 3300 mAh battery with Qnovo Adaptive fast charging and comes with a fingerprint sensor on the rear side. It supports 4G VoLTE , Wi-Fi 802.11 b/g/n, Bluetooth 4.2, GPS, NFC, USB Type-C, 3.5mm audio jack and FM Radio supports. It measure 150 x 78 x 9.8mm and weights 178 grams. The Xperia XA2 features a 5.5-inch Full HD display with Image Enhance Technology, Corning Gorilla Glass protection and 1920 x 1080 pixels resolution and is powered by a 2.2 GHz Octa-Core Snapdragon 630 14nm Mobile Platform with Adreno 508 GPU. It has 3GB of RAM and 32GB internal storage capacity which is expandable up to 256GB via microSD card. It runs on the Android 8.0 (Oreo) and supports Dual SIMs. It features a 23-megapixel rear camera with 1/2.3″ Exmos RS sensor, Hybrid Auto-Focus, 84° wide-angle f/2.0 lens along with an 8-megapixel front camera with 120° super wide-angle f/2.4 lens, 1/4″ Exmor R sensor. It has a 3300mAh battery with Qualcomm Quick Charge 3.0 and Qnovo Adaptive Charging. It supports 4G VoLTE, WiFi 802.11 ac (2.4 GHz and 5 GHz), Bluetooth 5 LE, GPS, GLONASS, NFC, USB Type-C and has a fingerprint scanner on the rear side. It measures 142 x 70 x 9.7 mm and weights 171 grams. 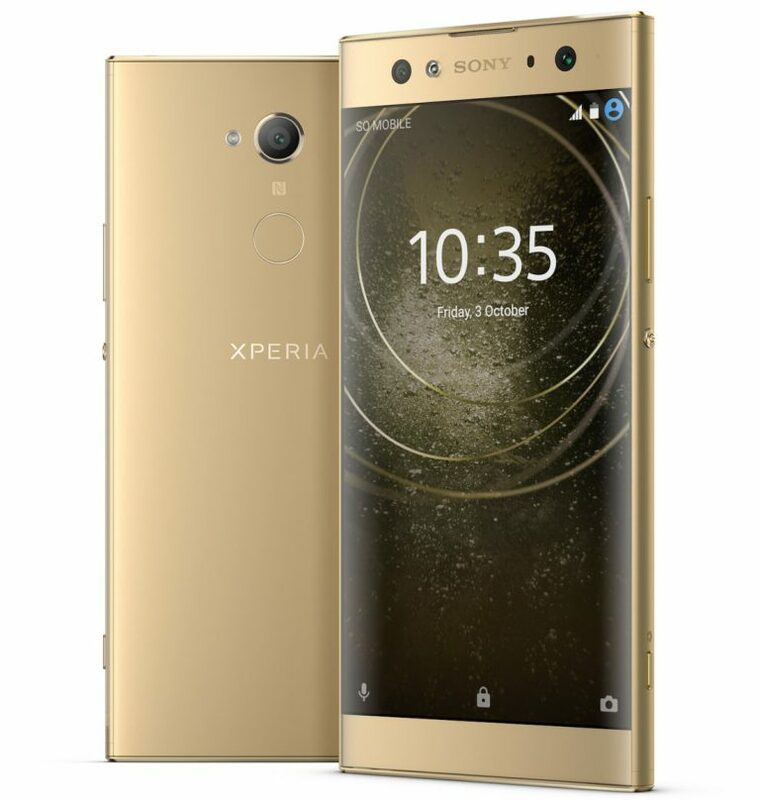 The Xperia XA2 Ultra features a 6-inch full-HD display with Image Enhance Technology, Corning Gorilla Glass protection and 1920 x 1080 pixels resolution and is powered by a 2.2 GHz Octa-Core Snapdragon 630 14nm Mobile Platform with Adreno 508 GPU. It has 4GB of RAM with 32GB/64GB internal storage that is expandable up to 256GB via microSD card. It also runs on the Android 8.0 (Oreo) and supports Dual SIMs. It features a 23-megapixel rear camera with 1/2.3″ Exmos RS sensor, Hybrid Auto-Focus, 84° wide-angle f/2.0 lens and has a dual front camera with a 16-megapixel camera with flash, 1/2.6″ ExmorRS sensor, OIS, 88-degree wide-angle f/2.0 lens along with a secondary 8-megapixel camera with 120° super wide-angle f/2.4 lens, 1/4″ Exmor R sensor. It has a 3580mAh battery with Qualcomm Quick Charge 3.0 and Qnovo Adaptive Charging. Connectivity options available are 4G VoLTE, WiFi 802.11 ac (2.4 GHz and 5 GHz), Bluetooth 5 LE, GPS, GLONASS, NFC, USB Type-C and comes with a fingerprint scanner on the rear side. It measures 163 x 80 x 9.5mm and weights 221 grams.